Check this list out, it's all you'll ever need to read to find the perfect wax. 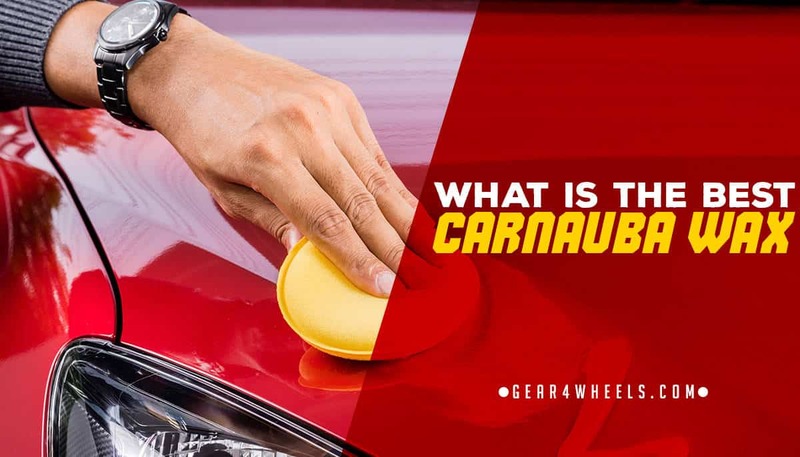 How Often Should You Apply Carnauba Wax? Here are the top rated carnauba waxes to keep your vehicle’s finish looking brand new all year long for as long as you own your vehicle. In terms of purity, nobody beats Migliore when it comes to the quality of their wax. Hands down one of the best car waxes period. At 50% carnauba wax per jar, this is one of the highest concentrations of wax that is still easily workable on the surface of your car. If you prep the surface of your paint and clear coat with clay and a high quality polish, you simply cannot get a glossier concours-style finish on your car’s paint job than Migliore Primo. The shine of this wax when buffed to its best clarity not only draws out the deeper colors of your car’s paint, but also accents the color tone to show off your car’s natural beauty. Best of all, Migliore Primo does not stain finishes or plastics, so it is safe to use on any surface of your car’s exterior. Pinnacle blends their carnauba wax with various fruit oils to preserve and extend the life of their high quality wax, and once your surface is prepped and the wax is applied after claying and polishing, every coat of wax you add gives an additional layer of protection against daily wear and tear on your vehicle’s clear coat. Not only does it add a highly desirable wet shine to every surface on which it is applied, but it also can be applied and buffed while wet, reducing the overall time necessary to have your car’s finish looking brand new. Pinnacle’s Signature Series II is also one of the best value’s for a premium quality 8 oz. wax on the market, and most users can get up to 25 layers of protection out of just one jar. Extremely easy to apply over polish on a well prepped surface. P21S is a no-frills carnauba and beeswax blend that provides superior wet shine and protection compared to other, far more expensive products available. In addition to giving your car that show-room new look without costing an arm and a leg, P21S is also non-powdering and does not leave any white stains on plastic or chrome after application, giving your vehicle the deepest shine possible while also offering lasting protection thanks to its unique combination of waxes that keep your clear coat looking new month after month. Best of all, the more coatings you apply over time, the better your vehicle’s paint will look thanks to the additional layers of protection. Despite the improved durability of the combination beeswax and carnauba wax, a coat of polish applied to a well-prepared surface should still be applied for adequate protection. This high quality carnauba paste wax is fortified with Meguiar’s unique blend of protective polymers to increase the durability and duration of every coat of wax while still providing that classic carnauba wax shine. Additionally, due to its unique composition and formulation, this paste wax is extremely easy to apply and remove without the need for additional time, steps, or materials. Best of all, not only does it look gorgeous when applied, but it offers superior protection and durability compared to other premium carnauba wax brands. This liquid carnauba wax is not only an excellent value, but it provides your car with a wet shine that is nearly impossible to beat when applied correctly to a well prepared and polished surface. Durability: By itself, minimally durable, but in combination with additional Mother’s California Gold polishes, exceptionally durable. The product is not meant to be used in isolation, but rather as the third step in Mother’s California Gold 3-step polishing and protectant coating process. That being said, using it in combination with your favorite polish after you have prepared your car’s clear coat properly in no way diminishes the high degree of shine and exceptional glossiness of this high quality carnauba wax coating. Best of all, it is a liquid carnauba wax, so you can get that classic car shine without the additional elbow grease of traditional paste waxes. Purists claim that liquid carnauba wax does not provide the same performance as paste wax. Durability and longevity of this wax are minimal when it is used by itself, and both factors still depend on how often and how far you drive as well as prevailing weather and road conditions. 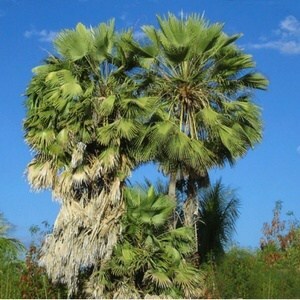 Sometimes referred to as Brazil wax or palm wax, carnauba wax is extracted from the leaves of the palm tree species copernicia prunifera, a species native to the northern provinces of Brazil. Called “queen of waxes”, the most pure form of carnauba wax is extracted as hard yellow-brown flakes taken from the leaves of the carnauba palm. The extraction process involves collecting mass quantities of leaves, drying them, then beating them to loosen wax particles. Collected raw carnauba wax is then refined via filtration, centrifugation, and bleaching to remove any pigmentation. The typical grades of carnauba wax sold commercially are T1, T3, and T4, all of which are based on the purity of the wax after processing. In addition to making a superb glossy car wax, various grades of carnauba wax are used in everything from shoe polish, dental floss, food products, and furniture waxes and polishes where it is often combined with beeswax and turpentine. In the 1960s, it was also used to coat the hulls of speedboats to reduce resistance and increase speed while also improving handling while operating in saltwater environments. Carnauba wax is also combined with coconut oil for surfboard wax, proving that it is by far the most utilitarian of waxes used commercially and industrially today. The clear coat protectant on your car is constantly being exposed to abuse on a daily basis, especially if it is not kept covered or in a garage. Road debris, sand, dust, de-icer, rock salt, grit, bugs, bird poop, and all manner of other environmental factors create microabrasions that turn your car’s clear coat layer cloudy and filmy over time. Adding layers of high quality carnauba wax adds a protective layer that absorbs micro abrasions caused by the majority of these road hazards, leaving your finish unscratched. While it isn’t necessary to protect the color and integrity of your paint job as it was in decades past, but even with modern clear coatings, it is still very necessary to give your car a coat of wax in the summertime every month or so in order to build up protection for the harsher conditions of winter driving, especially in locales where road salting and gritting is an annual occurrence. The greatest benefit of all though is definitely the look that multiple coats of carnauba wax gives your vehicle. That glossy, showroom new look doesn’t have to fade or dull with the passage of time. You can keep your car looking factory new with diligent reapplication of wax every time you wash your car, bringing out the true beauty of your car’s paint and maintaining resale value by preserving your finish. The expected lifespan of most carnauba waxes is between 3 and 8 weeks depending on the quality of the finish and the daily environmental factors your car is exposed to when driving. Whether you keep your car in a garage or outside, average number of miles you drive per week, typical weather in your area, how well you prep the surface of your car’s finish before waxing, how often you wash your car, and the type of car shampoo you use all factor into how long your car wax will last. A key component of adequate regular waxing is ensuring that you apply new wax before the previous coating becomes too worn. 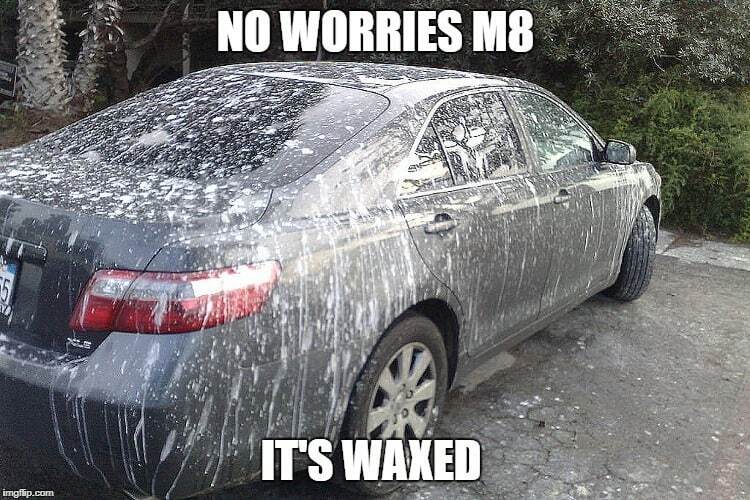 How can you tell that your car’s wax is wearing thin? Easy: look at how water beads and sheets on your car’s exterior. 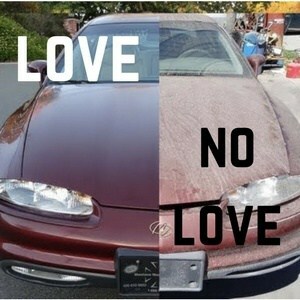 If water is pooling and looking flat on the surface of your car’s finish, it’s time to wax your car again. Waxing once a month with a high purity, high quality carnauba wax every month (12 times per year) is generally the recommended timespan for keeping your finish looking new. Furthermore, you may want to go ahead and add a few layers of synthetic car finish protectant underneath your outer layer of carnauba wax as well to maximize the protection of your finish. Altogether, the best carnauba wax for your car based on our research is definitely Migliore Primo. No other wax can provide the gorgeous wet shine and glossy finish that gives your car that car magazine cover look. While it may come at a premium cost, the results are worth every cent you invest, and it will definitely extend the overall life of your car’s finish in the long run.